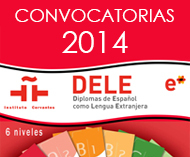 Wouldn’t it be nice if you had the chance to join a Spanish course without leaving your little child at home? Our course is designed for those who wish to improve their language skills and at the same time enjoying Malaga with their children. This program is available during the summer months as well as the winter. 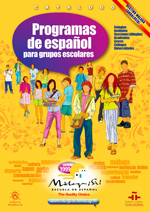 The parents will take three or four hours of intensive Spanish lessons in the mornings (Monday-Friday). The program is designed to improve all areas of the Spanish language including reading, writing, listening, speaking, vocabulary, pronunciation, idioms etc. 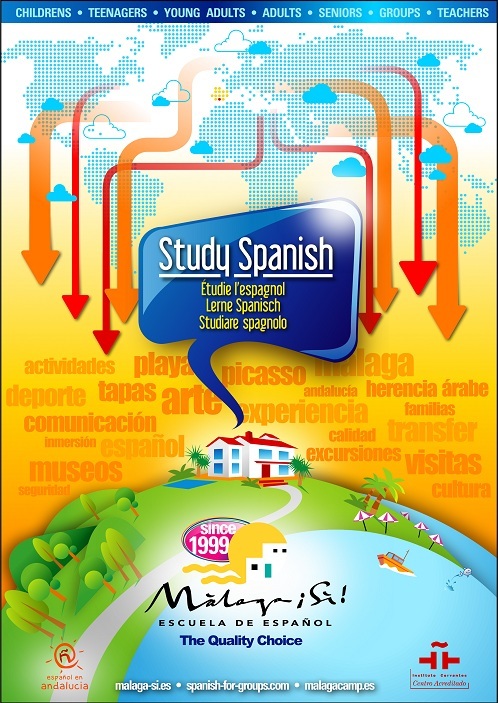 According to Málaga Sí´s Curriculum Plan (that follows the instructions of the Common European Framework of Reference for Languages and the Reference Levels for Spanish, Curriculum Plan of the Cervantes Institute) and depending on the Spanish knowledge level. 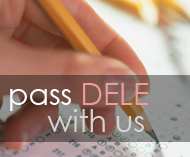 The program will be offered at all levels (beginning-A1 through advanced- C2). Participants can start the course every Monday of the year (even for total beginners). Minimum duration of the course is one week. Children ages 0-3 – While parents take their classes of Spanish the child stays with a well-qualified and experienced nanny (2h 45min or 3h 30 min of childcare per day, depending on parent course). Children ages 4-7 – Young children learn languages very quickly, so while parents have their Spanish classes the child stays with a Spanish monitor which helps a young man to enter in a world of Spanish language trough engaging him or her in fun activities such as arts and crafts, cooking, swimming, science projects, beach trips, field trips and much more (2 h 45 min or 3h 30 min of childcare per day, depending on parent course). For those parents who wish to spend some time with their child in the city, in addition to our academic programs, school offers social, recreational, and cultural activities on a regular basis. Our programme of activities includes for example watching Spanish movies in the school, visits to Malaga´s sightseeing points and museums, going out to eat tapas or paella, language exchange meetings with locals that allow students to practice their Spanish, salsa or flamenco classes, excursions to nearby cities like Granada, Cordoba and Seville. It is even possible to say goodbye to Europe and cross the sea to Africa and visit Morocco for a weekend. (activities are optional and not included in the price of the program). Please note that some activities and sports, even if they are arranged by other organisations, can be booked at the school. Sample activities programme for one week: Weekly program. Whilst many parents and children will arrange their own apartments or stay in hotels or hostels, for those looking to stay with a local family, this can be arranged. Accommodation will be in double room. (parent + its child). Families will provide breakfast and dinner or lunch (full board optional). Families provide sheets and bathing towels and students can use the laundry facilities once a week. Laundry service is included in the price. All our host families have been carefully selected, interviewed and visited by our housing officer. They live between a 2-minute walk and a 30-minutes bus ride from the school. Semi Intensive 15 course, 3 classes (45 minutes each) per day or Intensive 20, 4 classes (45 minutes each) per day from Monday to Friday for parent. Set of books, grammar and exercise. Certificate of attendance for parent. Access to the school pool. Free internet access at the school (we cannot guarantee wi-fi in the accommodation). Double room, half board for parent and child (from Sunday to Saturday, 6 nights, dinner on the arrival day & breakfast on the departure day). Childcare (children program), depending on the age of a child. Click here to check our prices. The program is open to families with children in any age. As this program takes place all over the year, as well as in our peak season, we recommend to book your course as soon as possible to guarantee the best accommodation for you and your child and avoid any disappointment. At least one adult has to study in our international classes. More than one young student or parent/guardian can be involved. Parents are responsible for their own children outside school hours. The aim is to study in different programs but be accommodated together.